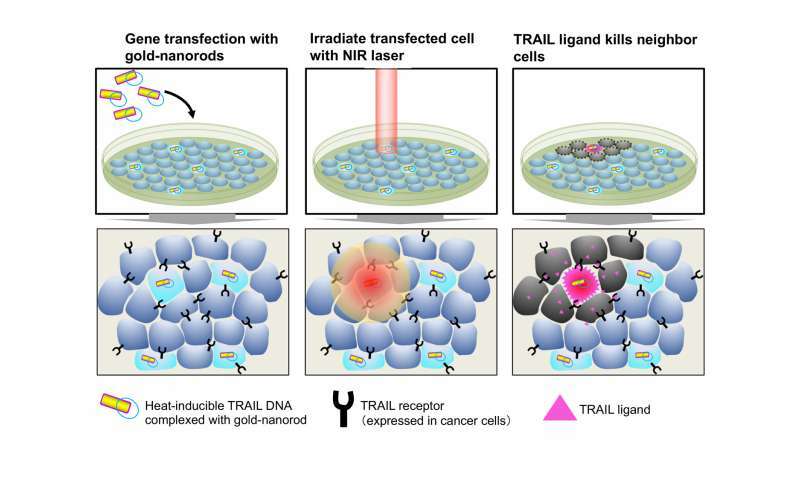 Mineko Kengaku, Tatsuya Murakami, and their colleagues from Kyoto University's Institute for Integrated Cell-Material Sciences (iCeMS) have developed a new method that modifies the surface of nanorods, making them more efficient in transporting cancer-killing genes into cells. 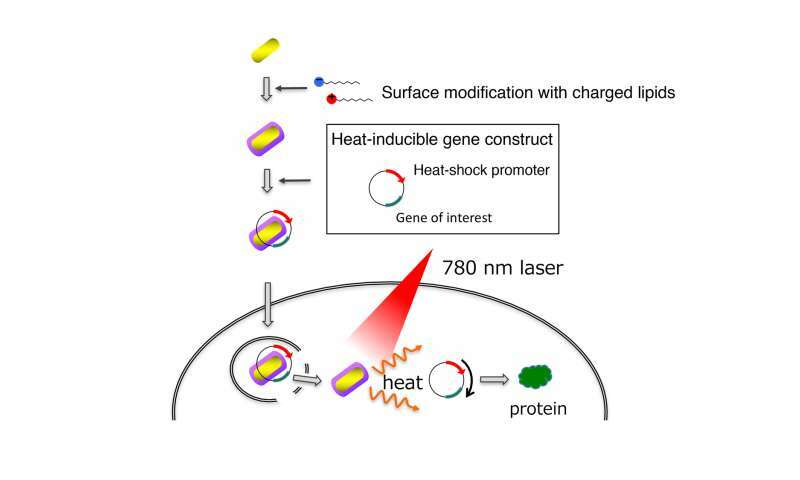 The team also developed a gene carrier, known as a plasmid vector, which includes a 'heat shock protein' that is activated in response to heat. First, the vector was bound to the 'enhanced green fluorescent protein' (EGFP) gene, and then transferred into mammalian cells by the lipid-coated gold nanorods. Exposing cells to near-infrared laser for ten seconds heated up the gold nanorods, turning on the EGFP gene. Surrounding, non-targeted cells showed little to no EGFP expression. This new system "provides a unique opportunity for site-directed, light-inducible transgene expression in mammalian cells by a near-infrared laser, with minimal phototoxicity," conclude the researchers in their study published in the journal Scientific Reports.